Night vision goggles do a great job of countering the human eye’s poor ability to see in the dark, but the devices are usually bulky, requiring several layers of lenses and plenty of power. 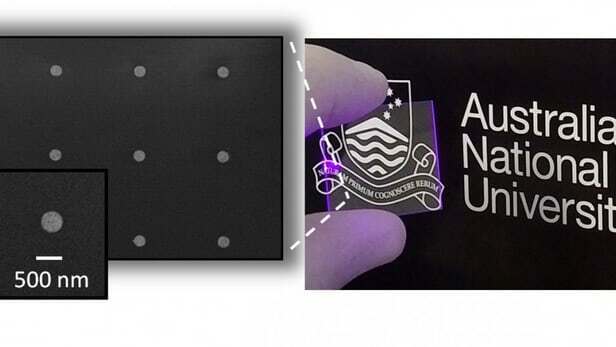 But thanks to research from the Australian National University (ANU), a new type of nanocrystal could grant night vision powers to a standard pair of specs, without adding any weight. Darkness, as we perceive it, is the absence of light on the visible spectrum that our eyes can detect, but there’s still plenty of light at other frequencies that we can’t use. 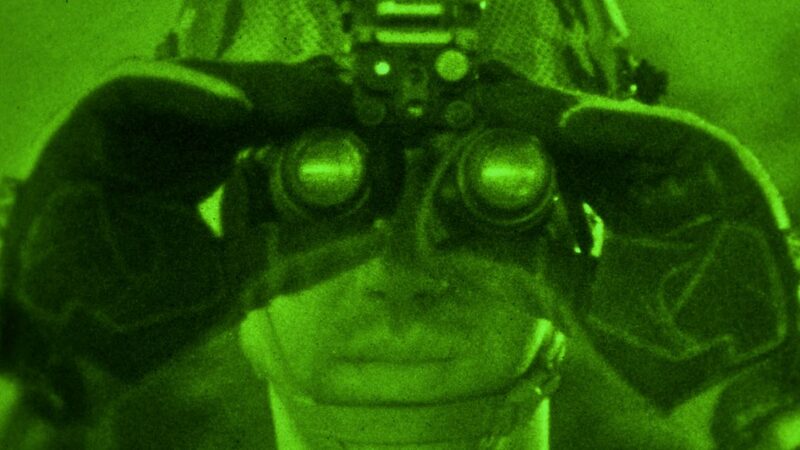 Night vision goggles make use of the near-infrared spectrum, and convert the photons from that light into electrons that light up a phosphor screen inside the device to create the image. But all that makes for a chunky, power-hungry device. The ANU team’s nanocrystal can be used to create night vision devices that forgo electricity completely, by converting incoming photons from infrared light into other photons on the visible spectrum, to allow the human eye to see in the dark. To allow light to pass through, the nanocrystal was fabricated on a plane of glass, marking the first time this had been done. The current prototype contains just a single nanoparticle, 300 nanometers wide, but creating an array of thousands or millions of them would create a metamaterial surface that can be applied to glass. “The nano crystals are so small they could be fitted as an ultra-thin film to normal eye glasses to enable night vision,” says Dragomir Neshev, lead author of the study. Within this surface, individual nanocrystals, or patches of them, could be tuned to different frequencies, to capture as much light as possible and attempt to overcome the challenge of efficiency at the nano scale. 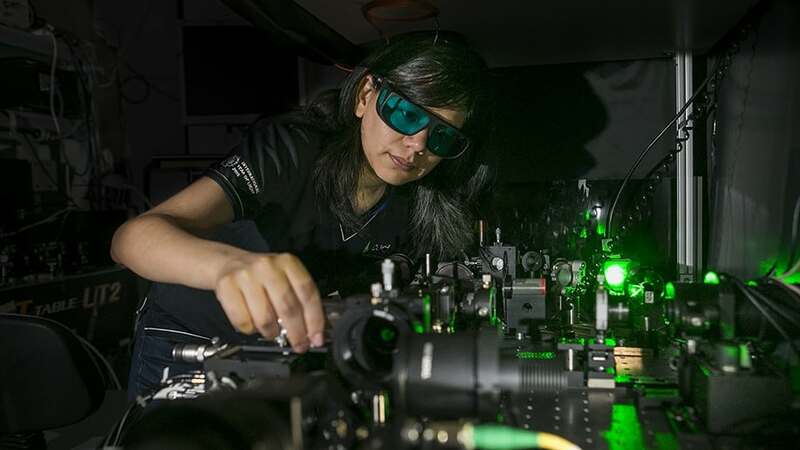 “When you have millions of them, you have a lot of capability and a lot of room to work with all the colors and all the frequencies, and have a surface that can capture all this invisible light and convert it to the visible light,” Rahmani tells us. Currently, the nanoparticle requires intense light to make the conversion, but the researchers hope that further development will allow them to improve its efficiency. These nanocrystals could also find applications in imaging cells, anti-counterfeiting measures like that seen in the DNAwatch technology, or for making holograms. The research was published in the journal Nano Letters.